(autoinsidernews) - Billed as the must-have automobile for the person who has everything, the 50 custom Neiman Marcus BMW M6 convertibles sold out in just 92 seconds on Wednesday. 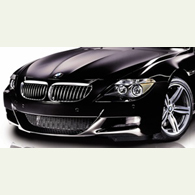 The special Neiman Marcus Limited Edition BMW M6 Convertible was listed in the 2006 Neiman Marcus Christmas Book and the company began taking orders at exactly 12.00 p.m., and phone lines were instantly jammed with buyers attempting to secure their order, reports Trend. BMW and Neiman Marcus announced the special edition model at the unveiling of the Neiman Marcus Christmas Book earlier this month. The Limited Edition 2007 BMW M6 Convertible retails for $139,000.